The purpose of this registry is to gain a better understanding of the medical, developmental, and behavioral features associated with 17q12 deletions and duplications. The information provided by individuals and their families will help improve the diagnosis and clinical care for all those affected by this rare genetic variant. Our mission is to learn more about 3q29 deletion syndrome and 3q29 duplication syndrome, and improve the quality of care for individuals with this diagnosis. Because the 3q29 deletion and 3q29 duplication are so rare, it is difficult for medical practitioners, families, and individuals to know what to expect. Our goal is to create a resource for families and professionals to address this gap in knowledge. The Abrale registry for lymphoma and leukemia was developed to support patients with blood cancer diseases in Latin America. This program will help in the effort to empower patients and expand their knowledge while gathering the information researchers need to develop better treatments faster. The Abrasta Patient Insights Network is for patients and families touched by thalassemia. 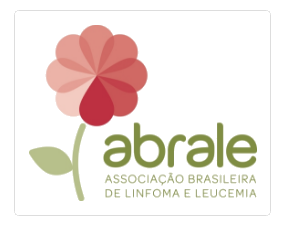 A program of ABRASTA, the Brazilian Thalassemia Association is a non-governmental organization working to empower patients and improve healthcare options. ANA is a patient-founded, patient-focused, member organization serving thousands of acoustic neuroma patients, family members, friends and health-care professionals. Acoustic neuromas, also known as vestibular schwannomas, are rare. Because of this, there is a lack of research about them, and the people who have them. By sharing information about the acoustic neuroma journey, this Patient Insights Network can help the whole acoustic neuroma community. By joining our registry and providing information about your AI experiences and symptoms you'll be assisting in the collection of much needed data on this often misunderstood endocrine disorder. This registry will also benefit the adrenal insufficient community as we connect with each other and to potential researchers and/or companies interested in developing new treatment options. This registry was created to develop a comprehensive databank of individuals with Alagille syndrome (ALGS) to better understand its characteristics, determine areas needing further research, and develop targeted treatments to improve the lives of those affected. Everyone with ALGS, regardless of age, severity of symptoms, affected organs, place of residence, etc., is eligible to participate. The only way to unravel the mystery of ALGS is through research. Research needs data, and that information comes from those willing to share their time, family history, and samples (tissue, blood, DNA, etc.). ALKConnect is a patient registry created to advance the understanding of anaplastic lymphoma kinase positive (ALK+), non-small cell lung cancer (NSCLC). Enroll in the registry to share your experiences, access data and insights and learn more about new ALK+ NSCLC clinical trials. Your participation may help us discover findings to improve patient lives. Together, we can build the ALK+ NSCLC community! The goal of the registry is to facilitate discovery of a non-invasive treatment for cavernous angioma. Members of the registry have the opportunity to assist in the development process as members are provided with the most up-to-date information about research studies and clinical trials seeking participants. 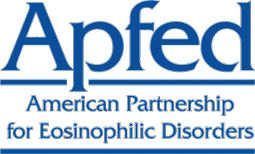 The purpose of this registry is to develop a comprehensive database of individuals who are diagnosed with an eosinophil associated disease, to better understand the characteristics of these diseases, to determine areas that need further research, and to help pharmaceutical companies with the development of treatments to improve the lives of those affected. The purpose of BRR is to amass information and biological specimens from individuals with Barth syndrome into a single database, which will be utilized by researchers to better understand Barth syndrome. Through our families' contribution to the BRR, knowledge is gained, research is facilitated and differences are being made. The Bridge Registry was developed for patients with Bullous Pemphigoid (BP), in collaboration with the International Pemphigus and Pemphigoid Foundation (IPPF). This registry hopes to change the way the world looks at Bullous Pemphigoid and contribute to the development of new medicines for BP. CADASIL is a rare disease for which there are currently no effective therapies and no known cure. 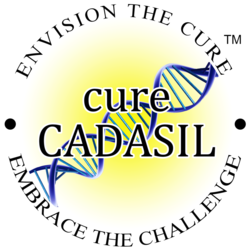 We hope that the cureCADASIL Family Registry will provide a forum for CADASIL patients and families from all over the world to share their information. With your help, this registry will make CADASIL information accessible to researchers and other participants. This Canavan disease PIN is an opportunity to build one central and international network of information on families living with Canavan. By gathering the experiences of families from around the world, we are creating a research-ready community poised to help drug developers and researchers get closer to treatments and a cure. In order to accelerate translational efforts (moving from basic laboratory research to meaningful health outcomes, such as therapies and treatments) related to cardio-facio-cutaneous syndrome, CFC International is launching their patient Registry. The registry is important for characterizing and understanding CFC syndrome better. Not only will the registry provide valuable information for families and doctors to make the best care decisions possible, it will be important to help researchers decide what are the most important challenges to address. The registry will also help scientists find out if there are any CFC syndrome patients who might be a good match for their research studies. 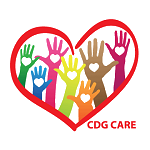 CDG Connect was created to develop a comprehensive database of individuals with Congenital Disorders of Glycosylation (CDG). It allows patients, family members, and researchers to gather information in a safe and confidential way. Participation is important to collect critical information to understand the history and progression of CDG, to make it easier for researchers to study CDG, for patients and families to learn about CDG treatment options, and for advocates to speak on behalf of the CDG community.This Patient Insights Network will allow doctors and researchers to gain valuable data that can be used toward future CDG breakthroughs and optimize the search for better treatments for children and adults affected by CDG. This registry serves as a link between those at risk of developing Chagas disease, clinicians treating those individuals, and researchers exploring better treatment options. As an important tool in the battle against Chagas disease, the Chagas Disease Registry aims to empower patients and enhance disease research. The primary purpose of this registry is to improve treatment access for those living with Chagas disease, as well as encourage the development of new medications and treatment options. Participation in this registry will help increase disease awareness, promote future research, and ultimately connect patients living with Chagas disease. Circadian Sleep Disorders Network is an independent nonprofit organization dedicated to improving the lives of people with chronic circadian rhythm disorders. Through this effort to collect information from as many people as possible we can learn about the similarities and differences among people with circadian rhythm sleep disorders, including which treatments work or don't work for people actually suffering from these disorders. The data collected will be useful to researchers. The Congenital Muscle Disease International Registry (CMDIR), including congenital muscular dystrophy, congenital myopathy, and congenital myasthenic syndrome, was created in 2009 to identify the global congenital muscle disease population for the purpose of raising awareness, standards of care, clinical trials and in the future a treatment or cure. The CMDIR registers through the late onset spectrum for all three disease groups. The COMPASS registry was developed for patients with cold agglutinin disease (CAD) and autoimmune hemolytic anemia (AIHA). This registry hopes to change the way the world looks at CAD and AIHA and to contribute to the development of new medicines for CAD and AIHA. This collaborative registry unites families and advocacy efforts to make de-identified data on MPS related diseases available to researchers and companies worldwide. Researchers and drug developers alike can better understand the progression of MPS and ML, accessible through a central, openly-accessible portal. Participants can receive information about the upcoming clinical trials most relevant to them. Every addition to this registry will give epithelioid hemangioendothelioma (EHE) patients, their loved ones, physicians and other medical professionals an excellent opportunity to find answers to a rare health problem. Finding treatments that work and learning how and possibly why our disease progresses the way that it does is so important. This registry was created to develop a comprehensive data-bank of individuals with creatine deficiency syndromes (CDS). This registry will allow patients, family members and researchers to gather information in a safe, confidential, online database. It will collect critical information to understand the history and progression of CDS, to make it easier for researchers to study, for patients and families to learn about treatments and for advocates to speak on behalf of the CDS community. This registry will ultimately grow the knowledge base that will build better lives for everyone with CDS. CCIR is the only comprehensive, global registry for cystinosis. The purpose and goal of CCIR is to achieve worldwide registration of the cystinosis community - which will increase the community’s ability to help one another through improved communication and information sharing and by doing so, help the thousands of people affected by cystinosis. Among other things, CCIR is a central hub for current information regarding cystinosis clinical trials and studies. 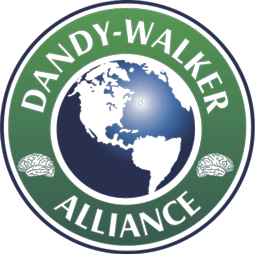 The Dandy-Walker Patient Registry allows people diagnosed with Dandy-Walker, their family members and researchers to gather and share information and health history in a safe, confidential, online database. This registry will help us better understand the major health issues among individuals with Dandy-Walker, improve the natural history for the diagnosis and help us recruit for future pre-clinical research studies and therapeutic clinical trials all while educating the community and raising awareness regarding diagnosis, study of the causes and treatments. The Double Hit Lymphoma Patient Registry represents a collaborative effort to connect patients, caregivers and clinicians around the world. Our registry has three primary goals: Develop a community of people impacted by double hit lymphoma who may serve as sources of inspiration and hope to others; provide insight on what additional resources are needed by patients and clinicians and a channel through which we can deliver those resources; and assist, accelerate and support research into earlier and more comprehensive diagnosis and treatment of double hit and other MYC-related lymphomas. After several years of working with scientific and family communities to achieve the various goals of the plan, the NIH created the Down Syndrome Consortium to foster communication and idea-sharing among NIH, individuals with Down syndrome and their families, national organizations interested in Down syndrome, and pediatric and other groups. One of its first activities was to create a Down syndrome registry, now called DS-Connect®: The Down Syndrome Registry. DuchenneConnect is a patient-report registry and educational resource for individuals with Duchenne and Becker muscular dystrophy, carrier females, and families of affected individuals. The purpose of the registry is to develop a comprehensive database of individuals with Dup15q syndrome, to better understand the characteristics of the syndrome, determine areas that need further research and develop targeted treatments to improve the lives of those affected by Dup15q syndrome. The registry has been developed by the generous support of friends and family of the Dup15q Alliance. The goal of the Global Dystonia Registry is to support future dystonia studies, including clinical and research trials, through the collection of data on persons affected by dystonia. Although the focal dystonias have many different manifestations, most experts believe they share a common pathogenesis or mechanism that causes the disorder. The common causes may be a similar gene defect, similar lifetime experiences, or both. Collecting information from different patient populations may help us identify the common features that they may share. This registry compliments the current scope of research for the Dystonia Coalition, a National Institutes of Health supported clinical research effort. The EBCare Registry is a resource for individuals and families affected by all forms of epidermolysis bullosa (EB) and qualified researchers working on approved EB research projects. The registry itself is a research project and the data collected through the registry will help characterize the condition of people living with all types of EB. 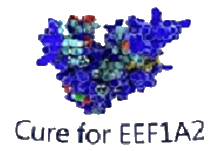 The EEF1A2 International Registry is designed to allow information on patients with mutations in EEF1A2 to be collected together in one place. The more information we can compile, and the more consistency with which this information is put together, the better our chances of understanding how mutations in EEF1A2 cause epilepsy and intellectual disability. We will be able to track outcomes, pull together information about which drugs help and which don’t, and ultimately design better therapeutic strategies and develop new drugs. The purpose of the registry is to create a comprehensive database of individuals with essential tremor to better identify the impact of this condition that affects up to 10 million people in the U.S. and many more worldwide. While essential tremor has been considered benign by many in the healthcare community, we know this is not the case. Your help will provide the research community the data to determine what areas need further addressing so effective treatments and eventually a cure can be found. 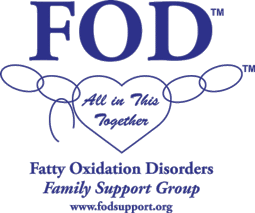 The FOD Registry was created in order to build a comprehensive database of children and adults living with a fatty acid oxidation disorder (FOD) such as MCAD, LCHAD, VLCAD, SCAD, TFP, GA 2/MADD, CPT 1 & 2, CUD, CACT, HADH, HMG, MCKAT, 2,4-dienoyl-CoA reductase, and unclassified FODs. This database will be accessible to researchers from around the world interested in FODs. Severe hypertriglyceridemia (severe high triglycerides) is seen in conditions such as familial hypertriglyceridemia, chylomicronemia syndrome, LPLD and others. In this rare disorder, the level of triglycerides (a type of fat) in a person's blood are higher than normal. The condition is not associated with a significant increase in cholesterol levels. If you have been diagnosed with severe high triglycerides, please register and complete a medical questionnaire and help researchers discover treatments. The Food Allergy Patient Registry is part of Food Allergy Research & Education (FARE)’s strategic plan to accelerate food allergy research. The registry intends to collect de-identified information from patients to build a database of detailed medical information about people diagnosed with food allergies. The information will be used by researchers, clinicians, advocacy organizations, caregivers, pharmaceutical companies and others. 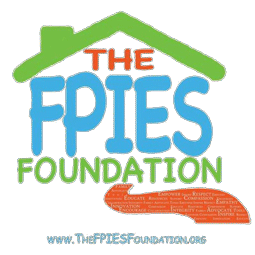 The purpose of this registry is to create a global database where doctors, researchers and families can connect to better understand FPIES, food protein induced enterocolitis syndrome. The goal is improved diagnosis, management and treatment options; as well as empowerment of patients and families through knowledge, connections, and continued support. 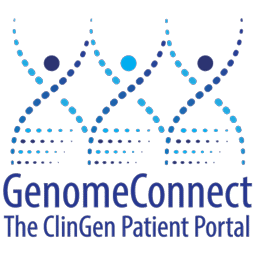 GenomeConnect is a patient portal, or registry, that is working to build the knowledge base about genetics and health that will allow researchers and doctors to study the impact of genetic variation on health conditions. This knowledge is key to the development of new treatments and therapies. The Global Gastric Cancer Registry will make a difference in the development of treatments and the advancement of gastric cancer research. Join the Global Gastric Cancer Registry to help advance the understanding of what stomach (gastric) cancer is, how it affects individuals and families, the significance of genetics (CDH1 gene), Hereditary Diffuse Gastric Cancer (HDGC), and the role of genetics and biomarkers in targeted treatments and therapies. This PIN will serve as the largest registry of GM1 patients globally. Collecting the health information of those impacted by GM1 gangliosidosis is essential for advancing medical research and developing drugs for treatment. By coming together, we not only demonstrate our collective commitment to a cure, but also offer researchers and industry leaders the most efficient and uniform source to advance all treatments. The National Tay-Sachs & Allied Diseases Association (NTSAD), along with the Cure Tay-Sachs Foundation (CTSF), has launched the first GM2 Tay-Sachs and Sandhoff Disease PIN as a tool to collect data and patient experiences that could ultimately help promising research advance to clinical trials. This data will be an immensely important tool for understanding our community and will greatly impact the path of clinical trial readiness. This registry will help researchers better understand the condition and the challenges the patient community faces in order to improve quality of life and develop new treatment options. It will also allow the Hydrocephalus Association to develop educational resources for the patient community to support them on their journey. The registry is designed to be inclusive of all ages and types of hydrocephalus. So, if you are young or old, developed hydrocephalus in infancy, as the result of a genetic mutation, acquired hydrocephalus after a brain injury, or have normal pressure hydrocephalus, please join the registry and help researchers and the Hydrocephalus Association better understand you and the condition. Participating in this registry will enable researchers and clinicians to identify and understand the definitive symptoms of IIH, and perpetuate research into medications and alternative treatments, which will help to enhance the lives of people with this condition. The more information gathered for research into IIH, and the more information collated for that purpose for researchers, clinicians and medical professionals, the better the chance of finding more effective and less invasive treatment methods. Make a difference by joining the registry and make your voice heard. Invitae is a genetic information company whose mission is to bring genetic information into mainstream medical practice to improve the quality of healthcare for billions of people. We believe that patients own their data and have the right to share it in a manner that protects their privacy. The Invitae Patient Insights Network (PIN) amplifies the voice of patients to help researchers and drug developers find better treatments, faster. Register now to become part of a research-ready PIN with participants from around the world. The KCNQ2 Cure International Patient Registry will organize a system of information that will use observational study methods to collect uniform data (clinical and other) to evaluate specified outcomes for KCNQ2 epileptic mutations, condition or exposure, and that serves one or more predetermined scientific, clinical, or policy purpose. In addition to providing clinically relevant data that are meaningful to patients and providers, this registry will have the ability to provide data on KCNQ2 mutations not typically studied. The KCNQ2 registry can offer adaptable designs and data collection strategies, making them particularly useful when treatments are rapidly changing. The registry will reveal potential crucial data for scientists that will speed up the development of drugs and new treatments for individuals with KCNQ2 mutations. By working together and sharing information, we can transform medicine in ways that were unimaginable a decade ago. Your participation may result in speeding therapies from the bench to the bedside, while rapidly increasing our knowledge of disease processes. Working with leading international lipodystrophy (LD) researchers, academic centers and pharmaceutical companies, we have developed the LD Connect Patient Registry. The purpose of LD Connect is to generate sufficient data to better characterize the lipodystrophy patient community. An objective of the LD Connect Patient Registry is to disseminate the results of the collected data to the scientific community. These results will include registry outcomes, secondary analyses, and ancillary studies. The Lymphangiomatosis and Gorham's Disease Alliance (LGDA) established the International LGDA Registry for Lymphatic Malformations as an internet-based information database for researchers and clinicians, as well as an information network for individuals with lymphangiomatosis and Gorham's disease and their families as a means to achieving its ultimate goal of developing cures for these diseases. The registry is also open to individuals affected by a number of other lymphatic malformations and osteolytic bone diseases. We believe that the to discovery lies within the patient themselves. Together, with your participation in this lung cancer registry, we can build the knowledge base to enable researchers and clinicians to identify and understand the complexities of this disease. Knowledge is power. Be the voice. Mast Cell Connect is a patient registry to advance understanding of mastocytosis and help speed the development of new therapies that improve patients’ lives. Share your experiences, get data and insights from the registry, and find out about clinical trials. By participating, you will gain access to data and insights gleaned from other patients’ responses that may be useful in better understanding your own disease. The MdDS Balance Disorder Foundation is an all-volunteer 501(c)(3) nonprofit foundation. 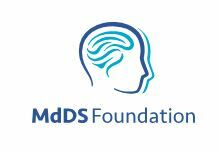 The foundation promotes international awareness of mal de débarquement syndrome (MdDS) while advocating for those living with MdDS and seeking treatments and a cure for people suffering from this rare neurological disorder. With this registry, we seek to establish consistent patient information to provide more accurate data to medical professionals, and researchers. The Morgellons Global Data Registry is the first large-scale patient registry that will create a comprehensive database of individuals from around the world with Morgellons. This confidential information can be used to further the education of patients and medical professionals and to attract researchers and pharmaceutical companies, resulting in clinical trials and improved treatment protocols. The mission is to empower patients, families and caregivers through increased knowledge and continued support. My Retina Tracker is a free on-line registry provided by the Foundation Fighting Blindness as part of its mission to drive the research that will provide preventions, treatments and cures for people affected by retinitis pigmentosa, macular degeneration, Usher syndrome and the entire spectrum of inherited retinal degenerative diseases. MyLymeData is research done differently. It is the first national large-scale study of chronic Lyme disease. This study is different from all other Lyme disease studies because it’s patient-powered BIG DATA research. Patients have more at stake in diagnosis and treatment of Lyme disease than anyone else involved in their healthcare. They are more dogged in the pursuit of their interests over time. MyLymeData lets patients learn from each other and provide data that can drive research to improve patients’ lives. The Myotonic Dystrophy Family Registry (MDFR) is a web-based database of information provided by you to aid researchers in developing treatments for myotonic dystrophy and identifying participants for research studies and clinical trials. MDFR will also enable the Myotonic Dystrophy Foundation and others to review community-reported statistics and data about the experience of living with DM that will aid our advocacy and education efforts. The Newborn Screening (NBS Connect) patient registry serves as an internet-based support network for parents, guardians and individuals with inherited metabolic disorders (IMDs). NBS Connect will capture and analyze information related to IMDs in an effort to assess gaps in service, access to care and to develop best standards of practice for clinical management and connect families to research opportunities. NBS Connect strives to improve the quality of care of individuals with IMDs. The NF Registry's mission is to identify people with NF who are interested in participating in clinical trials, as well as determining the commonality of specific characteristics of neurofibromatosis. The NF Registry is committed to secure methodologies and pioneering research that will lead to improving the health and well-being of individuals and families affected by NF. The purpose of this registry is to consolidate information on those affected by ectodermal dysplasias into a single data repository which will be utilized to enable research and clinical trials leading to future treatments and cures. 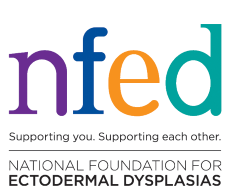 If you have or are registering for an individual affected by ectodermal dysplasia, please register with the National Foundation for Ectodermal Dysplasias (NFED). This registry is an international registry and includes all ectodermal dysplasia subtypes. Welcome to the Noonan Syndrome Foundation’s patient registry for individuals affected by Noonan syndrome and Noonan syndrome with multiple lentigines (aka: LEOPARD syndrome). Your willingness to share information about yourself and/or your child can help us make a difference in the future. This database will be accessible to researchers around the world interested in studying Noonan syndrome and Noonan syndrome with multiple lentigines (aka: LEOPARD syndrome). The registry is a unique online tool that helps empower patients, families, clinicians and researchers to work together to improve the knowledge of these disorders. This knowledge has the potential to accelerate research for new treatments and improve care. The registry establishes a global resource of information gathered from patients and families like you who are affected by organic acidemias. The type of information collected will include diagnoses, symptoms, current treatments, and quality of life. This information is crucial to developing new treatments. Welcome to the Parry-Romberg Patient Insights Network This PIN can help generate research and academic interest in Parry-Romberg. It can expedite trial recruitment and ultimately generate more progress towards treatments and cures. By adding your family's information to this PIN, you help amplify the patients voice to bring solutions to the Parry-Romberg community. The Pediatric Glaucoma Patient Registry serves patients and families dealing with childhood glaucoma. Pediatric glaucoma is an unusual eye disease and significant cause of childhood blindness. We invite all polymicrogyria (PMG) patients and families to join, to provide de-identified medical information to the registry to help everyone in the global polymicrogyria community – patients, families, researchers, clinicians, and pharmaceutical companies – learn more about polymicrogyria. The goal is improved diagnosis and medical care, as well as empowerment of patients and families through knowledge, connections, and support. In order to accelerate translational efforts (moving from basic laboratory research to meaningful health outcomes, such as therapies and treatments) related to Phelan-McDermid syndrome, PMSF is funding the Phelan-McDermid Syndrome International Registry. The registry is important for characterizing and understanding the syndrome better. Not only will the registry provide valuable information for families and doctors to make the best care decisions possible, it will be important to help researchers decide what are the most important challenges to address. The registry will also help scientists find out if there are any PMS patients who might be a good match for their research studies. PregSource™ is a research project that aims to learn about the pregnancy experience. Getting information directly from pregnant women about what they feel, think, do, and experience during pregnancy and after giving birth can teach us more about pregnancy and how to improve care. How can you help? Just sign up and answer some questions throughout your pregnancy. Your answers will help PregSource™ researchers answer the following and other questions. PrenatalDNAResource.org is a collaboration between Geisinger Health System, Columbia University, and the University of Pennsylvania. The site is dedicated to providing resources and information to parents, clinicians, and researchers about DNA deletions & duplications identified on prenatal chromosomal microarray testing. Funded through a grant from the National Institute of Health (NIH) National Institute of Child Health and Human Development (NICHD), PrenatalDNAResource.org will have up-to-date information & resources for all visitors to this site, as well as additional tools and features for registered users. PrionConnect is a Patient Insights Network serving people and families affected by or at risk for all types of prion disease, including Creutzfeldt-Jakob disease, fatal familial insomnia, and Gerstmann-Straussler-Scheinker disease. 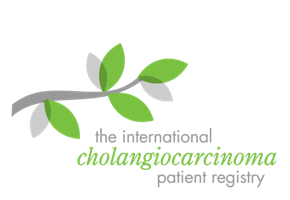 The goal of the registry is to collect de-identified (anonymous) information on patients diagnosed with primary sclerosing cholangitis (PSC) in order to increase and accelerate research, enable clinical and drug trials, and find effective treatments for PSC. PSC is a poorly understood disease for which there are currently no effective therapies and no known cure. We hope that our patient registry will provide a forum for PSC patients from all over the world to share their medical information and provide researchers with data that will lead to a better understanding of PSC. Join the SIRCh today and help us better understand and improve the lives of the people and families all over the world living with SADS. The registry will gather scientific information on SADS conditions and will help researchers create life saving treatments. This FSR-SARC REGISTRY data will connect patients, physicians, scientists and funders seeking better treatments and a cure. By registering and agreeing to participate, your coded, unidentifiable and secure data about your treatments and disease effects can be added to those of others with this rare disease, and provide enough data to help guide the research community in setting research priorities and in developing new clinical trials. The Simons Variation in Individuals Project - Simons VIP - is an online community that supports families with rare genetic changes (also called “genomic variants”) associated with features of autism and developmental delay by providing access to resources and information. This initiative also provides an opportunity for families to participate in research. Small cell carcinoma of the ovary, hypercalcemic type (SCCOHT) is a rare, highly malignant tumor that affects mainly young women. The median age of diagnosis is 24 years old. Approximately two thirds of patients with ovarian small cell carcinoma have hypercalcemia.The SCCOHT Patient Registry allows patients diagnosed with SCCOHT, their families, and researchers to gather and share information and health history in a safe, confidential, online database. This registry will help us better understand the major health issues among individuals with SCCOHT, improve the natural history for the diagnosis, gain insight into treatments, and help us recruit for future pre-clinical research studies and therapeutic clinical trials all while educating the community and raising awareness regarding diagnosis, study of the causes and treatments. The SWF funded and launched the online Sturge-Weber International Registry in order to accelerate translational efforts (moving from basic laboratory research to meaningful health outcomes, such as therapies and treatments) related to Sturge-Weber and birthmarks. The registry contains consented clinical data (that was previously stored in a server based software platform) collected in some cases since 1987. This data has been instrumental in engaging clinicians and scientists to study the syndrome and been acknowledged in highly respected medical journals. The data was also a key factor in many researchers obtaining National Institutes of Health (NIH) grant awards. The Jack McGovern Coats Disease Foundation works to enable new insights into the study of Coats Disease and continues to push the ball forward towards finding a cure. They developed the first and only Coats Disease Patient Insights Network; so medical researchers will be able to tap a pool of Coats Disease patients for their work. This PIN will help the Coats Disease Community gain knowledge, facilitate research, and makes strides toward understanding the disease, finding better treatments, and, ultimately, a cure. Welcome to the Trisomy 18 International Patient Registry – a research database of families and children impacted by a trisomy 18 diagnosis – past, present and future. The purpose of this registry is to accelerate interest and investment in biomedical research to change how trisomy 18 is understood and treated so that fewer families lose their precious children to this condition in early life. The registry is developed with the generous support of friends and families to the Trisomy 18 Foundation. The purpose of this website is for the Turner Syndrome Foundation to gather information about Turner Syndrome from people who are affected. The information can then be used in research studies and will help doctors and researchers better understand how Turner syndrome affects medical and psychological health. It's goal is to improve the support and treatment available for girls and women with TS in the future. VEDA has launched an advocacy effort with the goal of reducing the time it takes to diagnose a vestibular disorder. WE NEED YOUR HELP! By answering our survey questions you’ll be contributing to a body of data that can be used to evaluate the barriers to diagnosis and develop a plan to address them. With your help VEDA can share the vestibular patient’s experience with the medical community. Together we can implement systemic change to raise awareness about vestibular disorders, thereby reducing diagnosis times and improving treatment effectiveness.